(a) All dimensions are in millimeters. 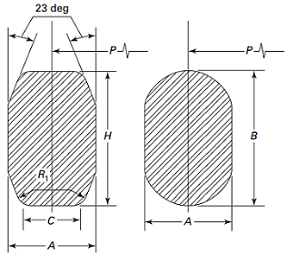 Variation in height throughout the entire circumference of any given ring shall not exceed 0.5 within these tolerances. 23 deg = angle, ±0 deg 30 min.